I’ve heard it’s never too late to learn a new language. For spoken languages I’m not sure I agree, but for programming languages – of course! 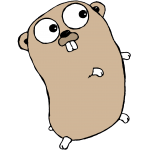 The Go programming language started at Google in 2009, so I figured it’s about time I dug in with the Gopher. Go is “almost” systems level, but it does have garbage collection, so language purists may dismiss it as a systems level language just based on that. But with today’s processors, there’s a strong argument that Go can be a very successful all-purpose language. I guess I was feeling retrospective after meeting Charles Petzold recently and thinking about how much C programming I did in the 90s. His seminal, Programming Windows, was my daily bible study. So, I thought, well I’m not going back to C after over a decade with C#, but let’s give Go a try! I checked out the documentation, took an online course, and I was go for Go. One of my colleagues, Darren Warner, had a recent devops task to connect to BitBucket’s API, iterate through the repos, and return status and information on any open Pull Requests. He wrote it Python – and it was a perfect porting candidate for diving into Go. I broke out Visual Studio Code (AKA Visual Studio Ultralight), and coded away. My goal was for it to be as pure-native Go as possible, so I only used built-in Go standard library packages – no 3rd party add-ons. I found the HTTP package to be great, works as it should – light, nice and async. The JSON handling via maps are a bit verbose, and I’m sure I could re-factor some of that using any of the 3rd party JSON marshalling packages available, but again, I wanted to keep it as native and fast as possible. I used proper error handling and create new err on every possible fail condition. > go run pullrequests.go --ownername="bitbucket-repo-owner-username" --username="my-bitbucket-username" --password="my-bitbucket-password"
Check out the complete code on GitHub or BitBucket!